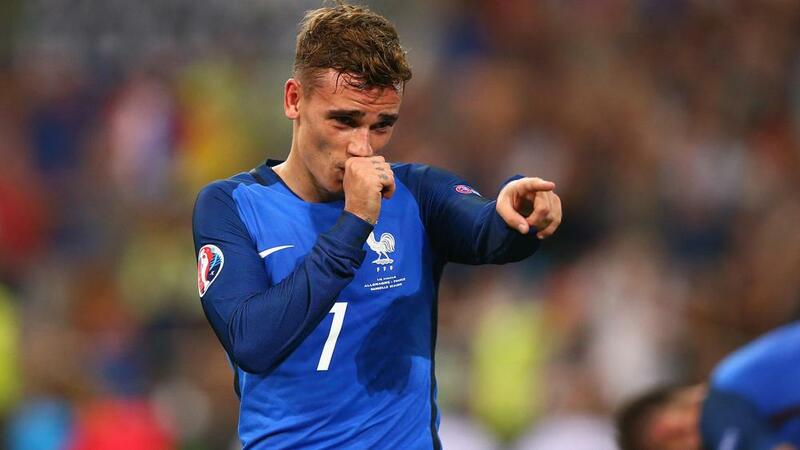 France forward Antoine Griezmann has been named as the UEFA EURO 2016 Player of the Tournament by UEFA's team of technical observers. The 25-year-old finished the competition with six goals and two assists after a breakthrough competition at international level. Though he could not fire Les Bleus to glory against Portugal in the final, Griezmann had been at his influential best for much of the knockout stage. He scored both goals in France's 2-0 semi-final win against Germany, having also struck twice to spark Les Bleus' 2-1 comeback victory against the Republic of Ireland in the round of 16. Griezmann was selected by UEFA's 13-strong panel of technical observers, also including Sir Alex Ferguson, Alain Giresse, David Moyes, Packie Bonner, Mixu Paatelainen, Savo Milošević, Peter Rudbæk, Gareth Southgate, Thomas Schaaf, Jean-François Domergue, Ginés Meléndez and Jean-Paul Brigger. The technical observers made their decision by pinpointing the player who shone brightest individually and as part of his team, and whose overall contribution had a major impact on his side's performances.